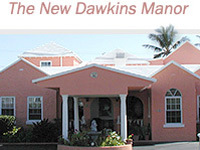 Dawkins Manor BM offers the perfect combination of that exotic holiday getaway feeling and the unmistakable comfort of home. 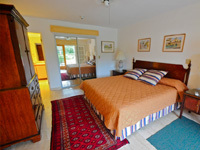 If it is a very warm and informal ambience you are after, this little paradise of a guest house will do just fine. Boasting a total of eight suites, with seven of those equipped with a complete kitchen, you can enjoy a lovely place to stay to complement all the surrounding attractions you might visit. Enjoy some great summer days at the fresh-water pool! 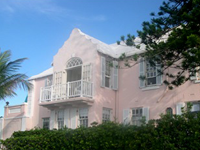 If you want to experience true relaxation and comfort in Bermuda, The Oxford House offers 12 very spacious guest rooms, fully-equipped with cable TV, a private bath and air-conditioning for your comfort. Operated by Mrs. Ann Smith, who has owned this Bermudian town-house residence since the early 1980s, you can enjoy a daily continental breakfast and internet services. Rooms depict individual tastes and decorations, so you might want to mix things up with each stay. 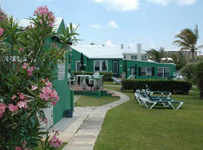 The Corals B&B in Bermuda covers all the bases by way of what you would want out of your holiday stay, with fully-equipped, modern rooms that come with all the comforts, as well as some of the most beautiful views you will ever witness. A light breakfast is included in the $125 per night fee for two guests, with extra services available on request, like airport transfers and activity arrangements. Enjoy your own, cordoned-off entrance to rooms with en-suite bathrooms. 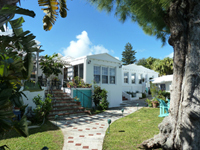 BM Edgehill Manor Guest House is perfectly located on the ultimate holiday island of Bermuda, but it is within the walls of this guest house where you will enjoy a number of amenities to enhance your stay. Standard amenities include a small refrigerator, cable television, internet (Wi-Fi), a clock radio, private bathroom access as well as in room air-conditioning. Green energy is the order of the day, with solar power used and you can also enjoy a daily continental breakfast plus private balcony access. 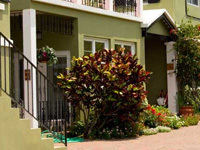 If you don't quite want to give up your modern day luxuries and conveniences like internet, refrigeration and comfort, yet you still want to experience the authenticity of a quaint, rich Bermudian traditional home, Kingston House Bed & Breakfast in Bermuda is just the right place for you. Comfortable en-suite rooms with all the modern day amenities complement the old Bermudian style design of the building, with high ceilings, wooden floors, big windows and mint condition artwork. Early or late sitting breakfast is available too. 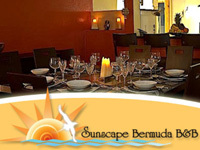 A paradise in its own right indeed and you'd be hard-pressed to find a place as charming as Sunscape Bermuda Bed & Breakfast, anywhere else on the island. Situated atop Lusher Hill, this makes for a great alternative to the big, expensive chain hotels that offer little by way of cultural authenticity. If you feel like venturing beyond the serenity and tranquility of the $140-$160 per night, amenity-filled rooms, it's only a 5-minute walk to the South Shores, or you can rent a moped scooter upon arrival. With regards to luxury and exclusivity, all packaged into one venue, it doesn't get much better than the Bermuda Fourways Inn & Cottage Colony. You will be made to feel as if you've arrived at your long lost home, from the moment you arrive and also get to enjoy the type of spacious and luxurious surroundings very hard to find elsewhere. Children are welcome at the Fourways Inn Cottages, and the premises are ideally located for quick access to all the attraction spots. If it is an authentically local experience you want to have, during your stay on the paradise island of Bermuda, Granaway should be high up on your list of prospects. The amenities afforded by this 1734 home are unlike any other, with quick and easy access to surrounding attractions such as the harbor and beaches. 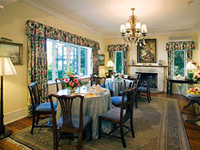 Choose from four different guest rooms in the main house and enjoy a great daily breakfast of fresh fruit, fresh muffins and tea. 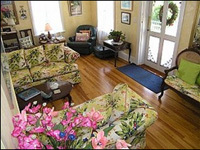 In terms of what constitutes the best accommodation location in Bermuda, Greenbank Guesthouse & Cottages is incomparable. This family-run, historic property is full of rich history and will give you a taste of authentic Bermudian culture, with great surroundings fit for royalty. The interiors match the exterior as well, with all rooms boasting en-suite properties and most boasting kitchens as well. 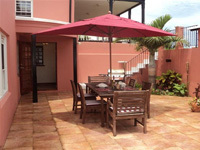 If it's tranquility you enjoy, complemented by some gracious hosting, look no further than Greenbank. Frequent visitors to this part of the world cannot help but fall in love with one of the friendliest, history rich and culturally authentic destinations in Bermuda, Salt Kettle Guest House. With over four decades run as a family business, its secluded bay location would rival any session in therapy, offering tranquil surroundings and a true exotic holiday atmosphere. Choose from four main-house/cottage rooms, each with private bathrooms and enjoy a full daily breakfast between 8:00 and 9:00, inclusive in the $75-$90 daily rate.